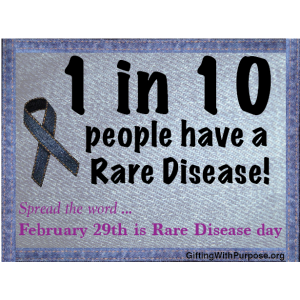 1 person in every 10 people has a Rare Disease. 30 million Americans … 30 million Europeans … 350 million around the globe … all with Rare Disease. Pause for a moment and think about your family and those that live around you … many cancers and most childhood diseases are Rare Diseases. On my block of 30 homes I know of three with Rare Disease … 1 in 10! 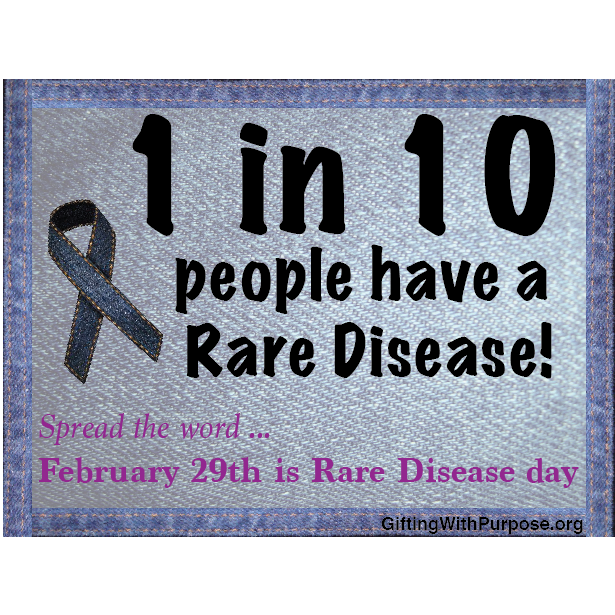 February is Rare Disease month, culminating on February 29th – a Rare Day indeed – which is Rare Disease Day. Stay tuned for month of Rare Disease facts, tidbits and things to know. This entry was posted in Awareness, Education and tagged 1 in 10, 30 million, add, rare disease day by Dean Suhr. Bookmark the permalink.